Blockchain technology is creating incredible opportunities for innovation and disruption. And when you start learning about all the possibilities, you might even come up with ideas for creating your own cryptocurrency. However, programming your own blockchain is complex to say the least and this is probably where your dreams ended. But do they have to be? The Russian-based company Waves answers that question by allowing you to create your own token on their platform. They’ve created a blockchain platform on which everybody can issue their own token within minutes. This may sound too good to be true, but it actually is that easy. All you need is 1 Waves crypto and an idea how to structure your token and you’re all set. But that’s far from all that Waves wants to offer. Ambitious as the team is, they’re also a decentralized exchange on which you can trade cryptocurrencies, fiat currencies and any tokens that were created on the Waves platform. “Your blockchain token in one minute” used to be the first thing you saw when you opened the Waves website. Although they have changed this because of their broader orientation of services, it is still applicable. In the name of research, I created a token on the Waves platform using the Waves Lite Client. All you need to do is come up with a name and description, decide how many tokens will be available and how many decimals they have and whether you want the option to add more tokens in the future. Once you’ve finished these, you’re the proud owner of your own blockchain token. These tokens can be anything you want them to be. You can crowdfund a project through them, create your own micro economy, or do whatever your creativity guides you to. With this technology, Waves provides the world with a tool to digitise every asset and aid the world in becoming more decentralized and tokenized. In addition to token creation, Waves has launched its Decentralized Exchange (DEX) on which the created tokens, existing cryptocurrencies and fiat currencies can be traded. This is a huge advantage for Waves. Today it can take months to get your tokens listed on the exchanges, but with DEX your tokens ready to be traded instantly. All currencies listed are integrated in Waves through gateways. You can see gateways as a means to transfer a currency to a platform. An example is the exchange Kraken, on which you can deposit fiat currency to convert into cryptocurrencies. These gateways are a unique selling point of Waves and they strive to create a gateway for every single currency in the world, both fiat and crypto. They plan to do this by creating a large network of third parties and license unrelated parties to operate these gateways. It’s hard to be more decentralized than Waves desires to be. The Waves team wants to provide many more functions on their platform that are currently being developed, such as user-friendly smart contracts, a blockchain messenger, multi signature security, and as mentioned before, gateways for all existing currencies. In theory, Waves could become an independent decentralized economy. A completely free market approach is needed to create such an ecosystem, however, legal issues are bound to occur with this. To illustrate, the free market approach of Waves has already made its first victims. 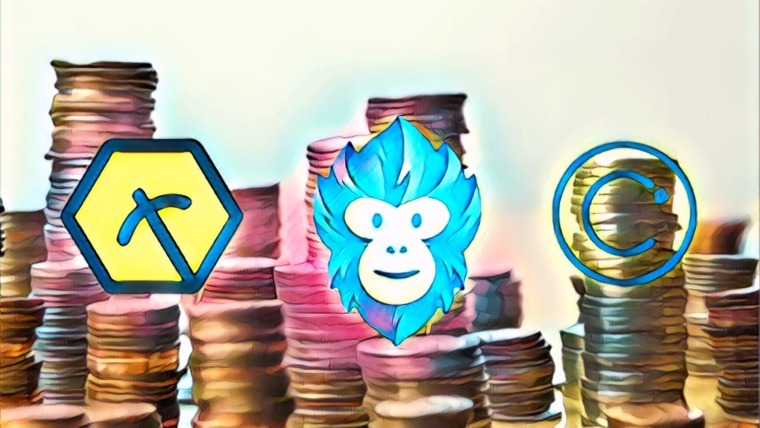 In the spring of 2017, several tokens were issued with names like Bitcoin and Ethereum and sold on Waves’ DEX at a slightly lower price than the real coins. The buyers of these fake cryptos had no way of getting their money back due to the absence of regulations. With an increase of tokens issued, a lot more scam tokens can be expected to be created. As we’ve seen with the ICO crackdown in multiple countries, the legal system worldwide is increasingly focussing on the legality of cryptocurrencies and their issuance and a possible infinite amount of scam tokens won’t help anyone. Although Russia has been rather vague about their approach regarding ICOs , it’s to be expected that they will implement regulations in the near future. Since you can create an unlimited amount of tokens on Waves and deposit and receive any currency on the platform, Waves is prone to legal investigations. Anticipating this, Waves has partnered with the international consulting giant Deloitte to create a legal framework and tackle future legal issues. Unlike most of the bigger cryptocurrencies, Waves doesn’t share much information about the team on their website and it takes a lot of effort to find information about the leadership of Waves. Maybe it’s a Russian thing, but you’d expect more transparency from company that’s worth over $500 million. The founder and CEO of Waves, Sasha Ivanov, has a track record in the crypto space with multiple projects, of which the most successful is coinomat.com. 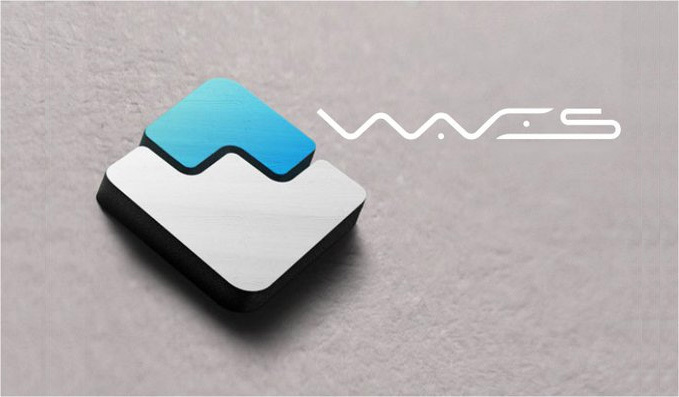 This company was created to be a gateway service for both fiat and cryptocurrencies and now mainly provides Waves clients with information and support for how to create a gateway. Next to Sasha, we have the head community manager Martin Spodymek, engineer Alexey Kiselev as the main back-end developer, and Sergey Ishchenko as the leading front-end developer. From a platform that has such big ambitions and is willing to create a wide array of new services and applications, more transparency and information about the team will be needed to establish trust. However, their recently announced partnership with Deloitte and their link to the Russian government does provide some reassurance as it can be assumed that these parties do their due diligence before announcing their cooperation. Waves is the first blockchain platform that has found a way to make token creation easy for the average person. New cryptocurrencies can already be created on the Ethereum platform, however, this requires large investments in both time and funds. The tokens created on the Waves platform won’t be able to have their own technological innovations, but they can aid in the creation and funding of a wide array of projects. There is a clear difference between Ethereum and Waves. For now, Waves is the highest valued decentralized exchange, but competition is on the way. NXT, Bitshares and Bitsquare are the most prominent growing DEX competitors and the idea of a DEX has inspired more tech entrepreneurs. They are all researching fiat and crypto gateways and providing additional financial services for trading such as margin and future trading. However, none of them seem to offer such a full package as Waves does. 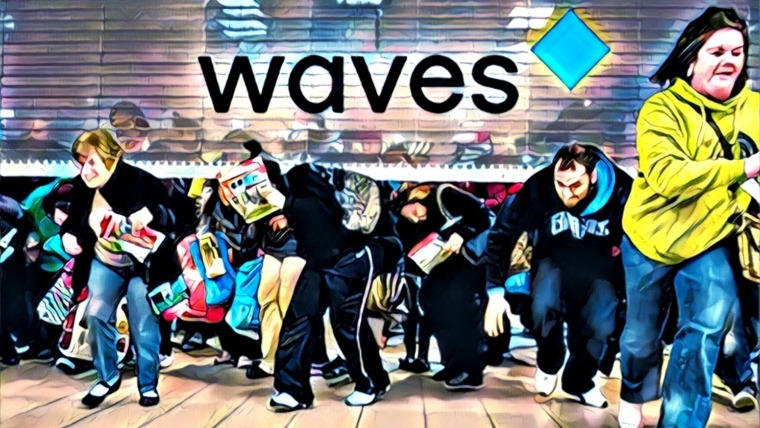 There are two ways to buy Waves. 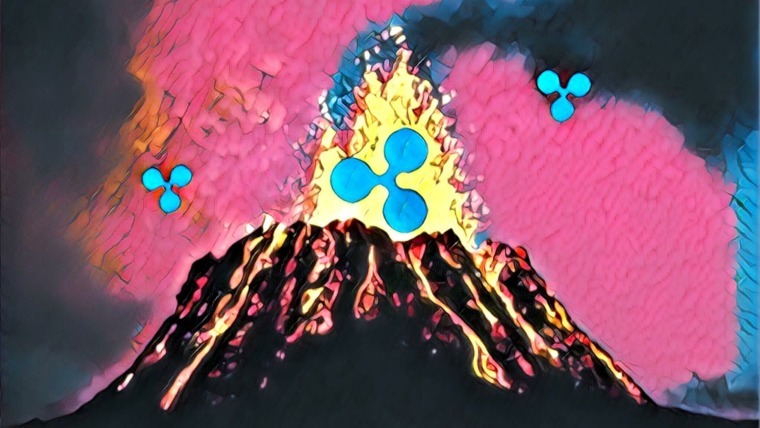 The first is the traditional way (yes, this industry is developing so fast that there already is a traditional way) through centralized exchanges. Waves is listed on Bittrex, Shapeshift, Yobit and on several smaller exchanges. The second way is a more exciting one, as you buy Waves through their own decentralized exchange. You install the Waves Client on your computer, deposit fiat, Bitcoin or Ethereum and place an order on the Waves DEX. You can also store your Waves cryptos in your Waves Client application. Additionally, Waves has an official wallet for both Android and iOS devices available in the Google Play and Apple stores. Waves could reach mass adoption by making token creation easy and tradable. The team’s holistic approach of offering a multitude of complementary services looks promising, as the Waves platform could become the only platform you’ll need for all your blockchain interaction. That is, if the company can deliver on their promises. More transparency would be much appreciated and is vital for the trustworthiness of the platform. If they find a way to structure the future potentially infinite amount of tokens possibly issued on the Waves blockchain, winning concepts could grow on the Waves platform and kickstart mass adoption. These winners will market their token and with that market Waves and most importantly, blockchain technology. This doesn’t come without disadvantages. 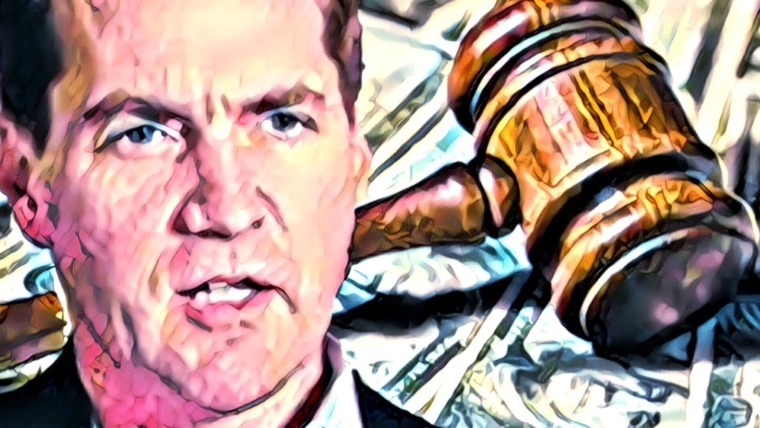 The completely free market approach will be highly susceptible to fraudulent tokens and a solid legal framework to regulate this will be necessary, however teaming up with Deloitte is a reassuring step. 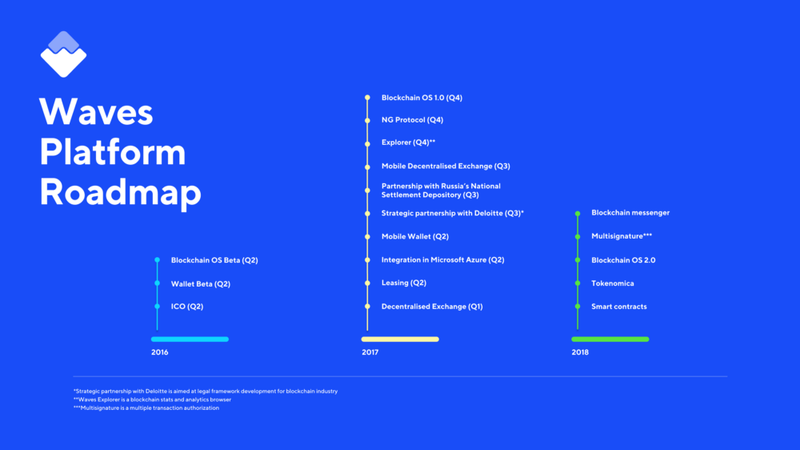 If the team behind Waves can deliver on its promises and implement all that they envision, we could see the birth of a completely new decentralized financial ecosystem.